Happy Sunday everyone! 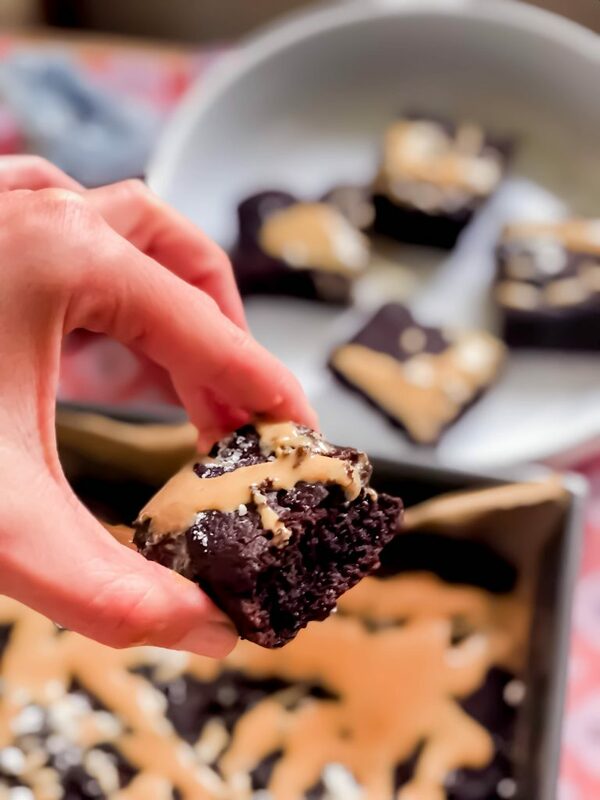 last week my dear friend asked me to make her peanut butter brownies. which led me to all week thinking about and researching the perfect recipe for her. With my boyfriend, brother and dad in the living room playing board games as the expert taste testers I was able to make this batch. 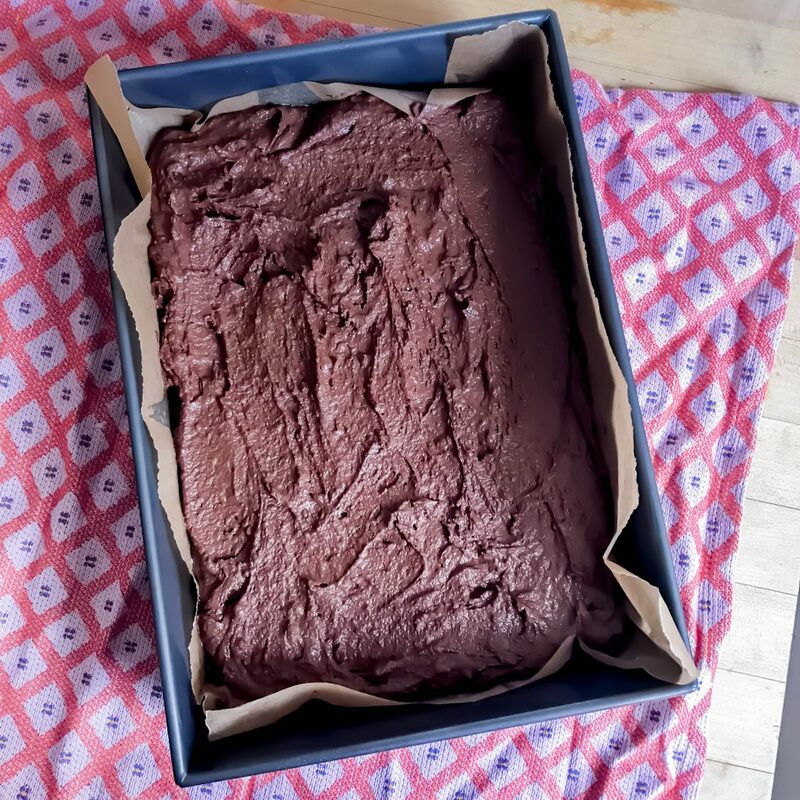 This recipe calls for a 9in by 13in brownie pan which is large enough to make around 40 “just-the-right-size” brownies altogether. 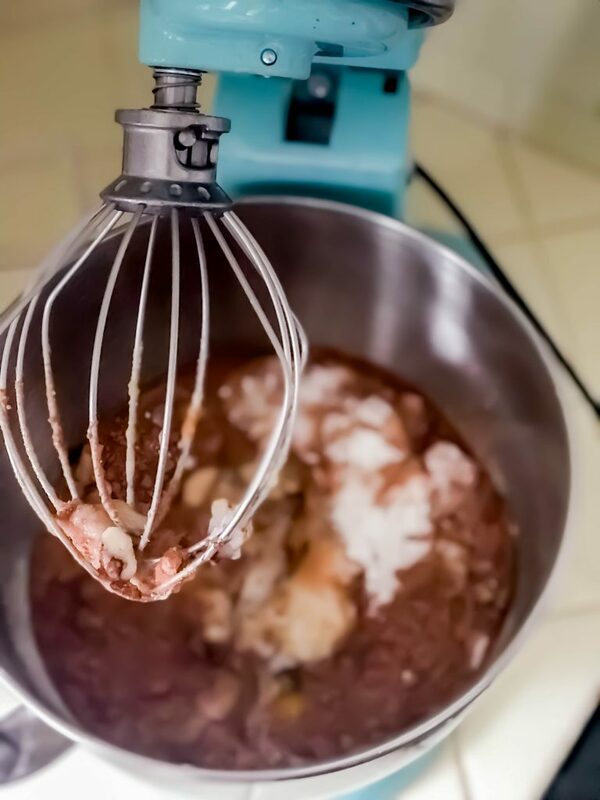 On top of the recipe and dessert orders, I’ve been on my own sugar-free journey due to some health-related symptoms from myself and loved ones. Therefore my goal is to continue making recipes that everyone can enjoy. DISCLAIMER: You do NOT have to tell everyone these are all the allergies and sugar-free. My teenage brother who won’t even go near a piece of dark chocolate LOVED these. Therefore, I hope these inspire you to make them as well as they are great for all occasions. Much love to you and your baking adventures. dump all of your ingredients into a kitchen-aid, bowl with a kitchen-aid, or a high-speed blender. 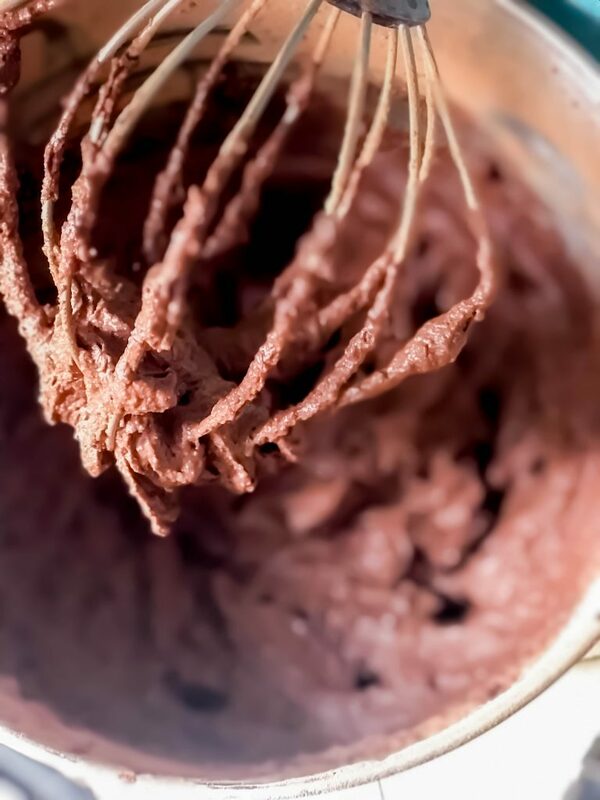 blend or whisk until smooth. spray pan with oil of choice – i used avocado oil. 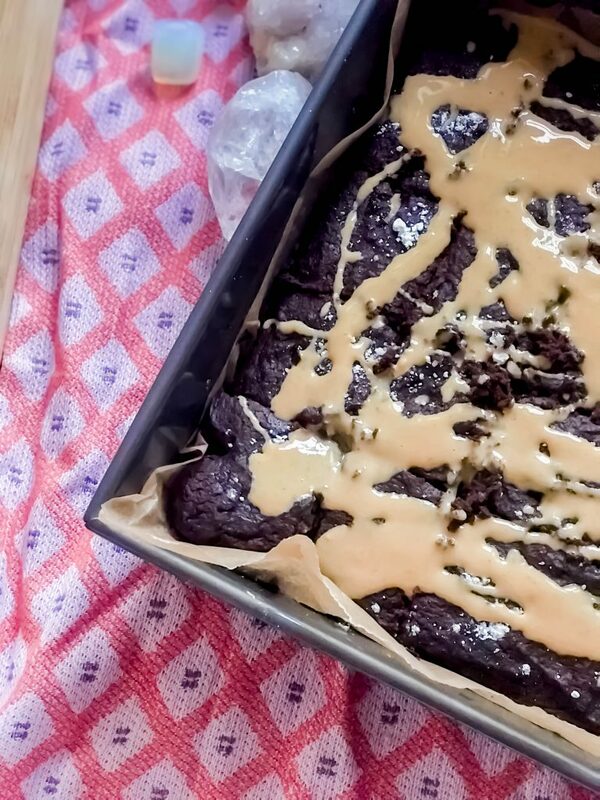 place parchment paper down and pour your brownie batter into the pan. bake for 30-40 minutes. 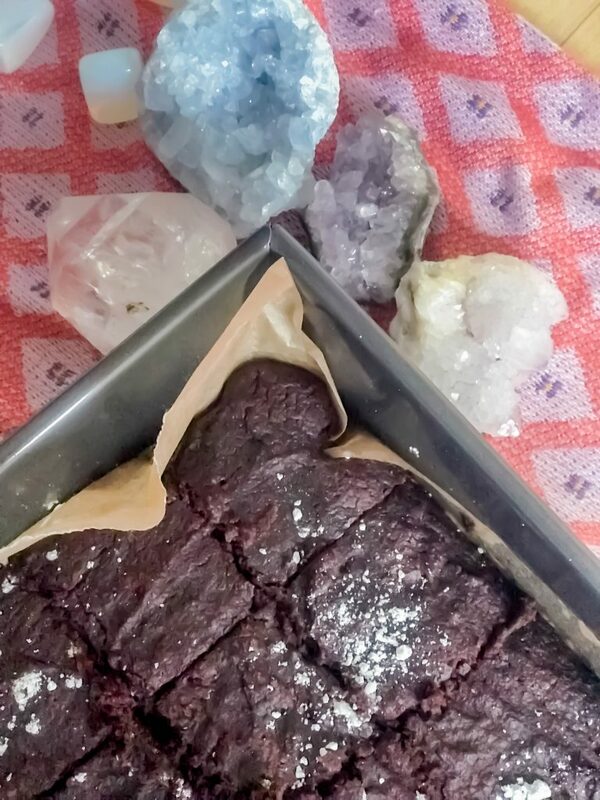 poke the middle of the brownies with a fork or toothpick – if it comes out clean your brownies are ready. in food processor add in your peanut butter, 1/2 cup coconut oil, 1/4 cup honey or raw monk fruit (with pinch of sea salt) and blend until smooth.